It’s been too long since I last wrote. My last tournament was the Fort Wayne Regional Championship, in which I took 24th place with my Virizion EX/Genesect EX/Mewtwo EX deck. After about a month off from tournament play, I am about to get back into the swing of things with a pair of League Challenges, so it feels like I should comment some on the new format before I go into tournament play. What I’m writing about today is why I really love Plasma in the new format. Plasma is an interesting deck, in that it has been one of the central forces of the meta game, but it has struggled to break through for some big tournament victories, finishing second at a wide array of events. I wasn’t the biggest fan of Plasma the past two formats. It was always one of those decks I was testing, and it was close, but I wasn’t happy with some aspect of the deck. However, I think things change in regards to Plasma decks for a few reasons. As a result of these changes, I see Plasma as the most well rounded deck of the format, which I guess could make it the BDIF if you want to view it that way. I dont’ think there is necessarily a BDIF in this format, just a best deck of the day for a given meta game, but I think Plasma is the deck that is able to perform well in the largest variety of meta games. Now, what makes me like Plasma now, while I didn’t in the past? A few players moved to nearly all Basic Energy in their Plasma lists headed into Fall Regionals, most notable is the list Pooka put up on The Top Cut, which really helped me in figuring out how to get Basic Energy properly integrated in Plasma. It was always something I tested on and off, but was never something I figured out on my won. 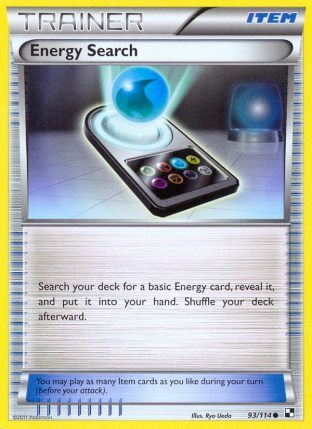 You don’t exactly play all Basic Energy, as you still want to play Plasma Energy, as those allow you to use Colress Machine, power up Helix Force, and allows you to play Lugia EX. Outside of those though, I think all Basic Energy is the play. Basic Energy helps round out a few of Plasma’s more difficult matchups, as Basic Energy cannot be hammered away with Enhanced Hammer, while all that Special Energy could be. Crushing Hammer has returned of course, so your Basic Energy aren’t completely safe, but I doubt that will see too much play and it doesn’t work all of the time. The two matchups this helps against are Darkrai EX and Plasma Hate decks. Darkrai EX, in the past, would recycle Enhanced Hammer with Junk Hunt to decimate a Plasma player’s Energy field, which gave Darkrai EX a heavily favored matchup against the deck. This is no more, and Darkrai EX is now a much more manageable matchup for Plasma. Plasma Hate decks would depend on Drifblim PLB’s Derail attack and Enhanced Hammer to discard Energy from Plasma Pokemon, and then use Drifblim DRX to OHKO all of your Pokemon once enough Energy was in the discard. When decks utilizing these Pokemon are no longer able to discard your Energy, these two Pokemon become a lot less frightening and easy to deal with. By playing all Basic Energy, we are able to utilize the newly reprinted Energy Switch to manipulate the Energy on our field. It is this new aspect of the deck that I think takes Plasma to the next level in this new format. With Energy Switch, we can worry less about having the right Pokemon benched when we use Raiden Knuckle in the early game, being able to correct it later on. Going in hand with that is the ability to change up strategies more easily in one turn. Being able to react to what your opponent is doing makes Plasma versatile in dealing with a variety of strategies. 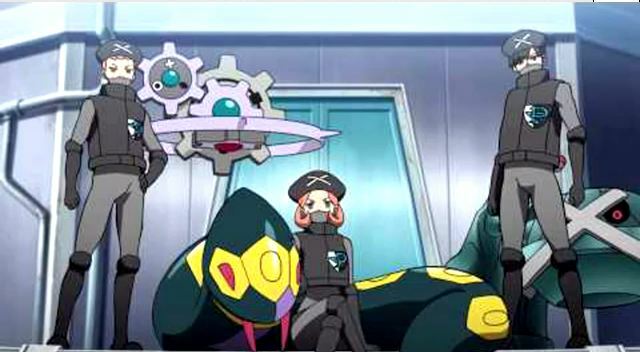 Additionally, Energy Switch allows us to more easily integrate non-Plasma Pokemon into our Plasma decks, which in the past were awkward to setup because of the inability to Raiden Knuckle or Colress Machine Energy to them. So many cards have been printed with the Plasma tag on them that we have such a vast array of Pokemon to use in our Plasma decks now, allowing us to build different versions of Plasma to deal with different meta games. 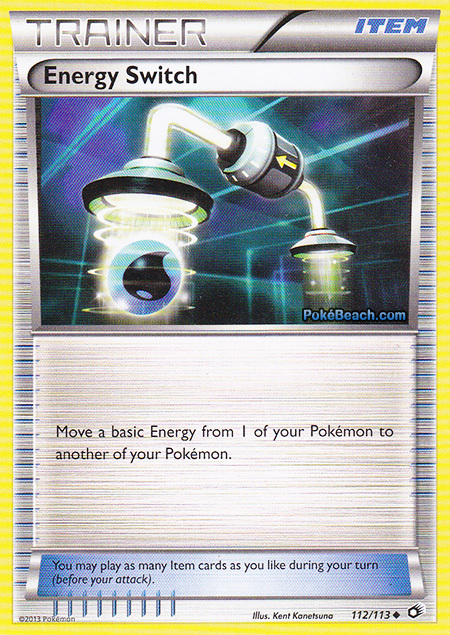 Additionally, with Energy Switch, it is now easier to integrate other Pokemon into the deck that didn’t quite fit before, increasing Plasma’s options even further. I’ll just give a quick run down of some of the main Pokemon in Plasma and what they can counter. Thundurus EX – A great counter to Empoleon decks, in that it OHKO’s all their small Basics, such as Emolga, Piplup, and Duskull with a few Deoxys in play. Additionally, if you get 4 Deoxys in play, it can OHKO an Empoleon with Raiden Knuckle, and Thundurus Noise is always an option as well. 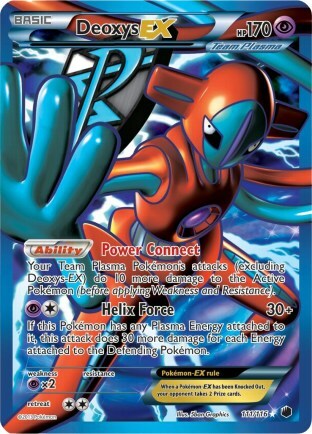 Deoxys EX – Gives you an easy out to countering Mewtwo EX, and also hitting anything with a lot of Energy on it for a lot of damage. Lugia EX – Perhaps the strongest attacker against all the new non-EX decks in the game. Turning Pokemon like Empoleon and Bouffalant into Empoleon EX and Bouffalant EX for two prizes is very strong. With a few Deoxys in play, it can OHKO all of these Pokemon. Kyurem PLF – Counters Landorus EX and any other Water weak Pokemon hard. Also, with Silver Bangle, or LaserBank, Kyurem is a threat to OHKO any EX with Blizzard Burn, and with enough Deoxys in play, it does the same to Stage 2’s. Absol PLF – Great for countering decks with big benches like Empoleon or Garchomp/Altaria. Terrakion NVI/Plasma Landorus – Hits Darkrai EX and Thundurus EX for OHKO’s. Genesect EX – OHKO’s Terrakion EX and Keldeo EX. Virizion EX – Can be used to shutoff Hypnotoxic Laser as well as to shutdown Gothitelle/Accelgor decks. Ho-Oh EX/Heatran EX – Fire options to counter Virizion EX and Genesect EX. The rebuilt version of Plasma just feels like such a well rounded deck. With so many options available with it, it can deal with almost every meta game threat. The only decks it can’t beat are trainer lock decks that play Silver Mirror, but those won’t be very popular as they struggle with most other stuff, so Plasma should be positioned to do well in most normal meta games. I’m really excited about the prospects of Plasma in the new format, and will probably play it at one of my League Challenges this weekend. Do you mind telling me what list by Pooka you are referring to?